I love everything about Florence. I love the art, the architecture, the piazzas, the people and I love the food. I have spent months in Florence over the last few years and yet I have never really explored all of the traditional, local cuisine. Lucky for me I found Eating Italy tours, the Food Lovers’ Guide to Florence. While the residents of Florence were heading off to work I met Gaia Ancilotti and Wibke Carter of Eating Europe Tours to begin our exploration of the other side of Florence, the Oltrarno, where the locals live and mangia. Our first stop was at La Cite’ where you can read, listen to great jazz, and enjoy your breakfast. We tasted the traditional Fiorentine colazione (breakfast) of caffe’ e budio di riso (coffee and rice pudding pie). What a great way to start your day! The coffee and not too sweet dolce paired well and energized all involved for what would come next. Macelleria Mignani, a treasured, 40 year old butcher shop in Oltrarno, is a local favorite for all meats, including bistecca alla fiorentina (the finest steak anyone could ask for). Our tasty treasure of the day was a salami found almost exclusively in Florence, finocchiona salami, salami flavored with fennel. I had never tasted this salami before. Yet I promise you I will be adding this to my next aperitvo in Florence. It was so fresh tasting, so flavorful. I wanted seconds! No time for more salami. We were off to our next culinary treat. L’Angolo Saporito is a wonderful bakery owned by Alessia and Beppe, a Neapolitan/Tuscan couple who fuse the flavors of both regions into mouth-watering baked goods. By now we had been walking and eating for over an hour. Luckily we only needed to cross the piazza for our next and most adventurous experience. It was time for Tripe. Or at least I thought it was. I Trippaio D’San Frediano or Da Simone is a hangout for all Florentines, rich or poor, who gather here where they can eat the top local specialty, Lampredotto panino. You may wonder what kind of sandwich this is. First of all, this is a Tuscan favorite. Second, have you ever wondered where a cow’s stomach goes after it dies? Well there are several of them, and for this sandwich, the 4th stomach goes into bread, is seasoned and is eaten by Tuscans and travelers like me. I must admit I had a bit of trepidation. I wasn’t certain I wanted any part of a cow’s stomach inside mine. I decided if it was good enough for Tuscans, this southern Italian girl could try it. The flavor was surprisingly full bodied and well-seasoned. The texture takes a bit of getting used to. I will try it again. After our chewy cow’s stomach we moved onto Tuscan cookies at Pasticceria Buonamici. When I was growing up my Nonna (grandmother) Amelia was the cookie master of the neighborhood. One of her best concoctions was her Cantucci. As children we called them slices. And they were slices of love, flour, eggs and almonds. While visiting Pasticceria Buonamici, we were able to watch Mr. Roberto create his Cantucci. Note the plaque on the wall: Qui arrivo l’Arno il 4 Novembre 1966. The line shows the height of the Arno flood of 1966. The flood destroyed this shop as well as priceless art throughout Florence. And Roberto survived it. Yes, you see one of my cohorts wearing the lovely paper gown and hair covering. We were styling as we watched the master create his Cantucci. As Roberto added each ingredient and rolled out the dough, our Florentine guide, Gaia Ancilotti, shared Roberto’s history. He was a young boy during World War II. In 1944 many Italians were assisting the Allied forces to defeat the Nazis. The Nazis attacked the Oltrarno at mid-day in retaliation. Mostly women and children were in the streets at the time. So many were killed. Roberto was caught in the crossfire but was saved by a stranger and hidden in her home, away from the slaughter in the streets. His family did not know where he was or if he had even survived. Later in the evening, his savior walked him home right into the loving arms of his mamma. Somehow the story of this man, that boy, added extra flavor to the cantucci he made. Our tour was not just about food. It was about the people and Mr. Roberto was a true citizen of Florence. Are you getting hungry reading about our adventures? Well here comes some more. We now had been walking over 2 hours as we entered Alimentari Sandro & Ivana (Sandro & Ivana’s Grocery Store) where the specialty is formaggio (cheese). Who doesn’t love cheese, especially with a side of prociutto ham? We were served a local Tuscan cheese called Maremmano. Yum! Our next stop on this heavenly walking food train was a wine shop with Chianti on tap! Fiaschetteria Fantappie’ had wine on tap. Why don’t we all have wine on tap? You can bring your own bottle and have it refilled. Love it! And it was great Chianti! We paired it with chicken liver bruschetta, a local delicacy (Crostino Toscano). Another great highlight of our food experience was our visit to I’Raddi. This trattoria was named after a famous Florentine boxer and featured local Calcio Fiorentino (An antique sport that reminds me of a cross between soccer, boxing and brawling) stars as guests and in their artwork. All of Florence is crazy for this competition which is played every June. The final game was coming up in a few days! While we drank more wine, ate Pappa col Pomodoro(bread and tomato soup) and Peposo (Beef stew with ample pepper flavoring), one of the stars of the Bianco (white) team posed next to his portrait. And the crowd in the trattoria went wild! The only way to top this experience was to eat Gelato from Gelato della Passera. This artisanal gelato shop had only fresh ingredients and is believed to offer the best gelato in Florence. After 4 hours of sampling excellent food and walking in the unusual heat I apologize because I have no photo of my gelato. It looked so delicious I forgot to take a photograph. I would highly recommend you stop by and taste it for yourself next time you are in Florence. It is worth every single spoonful! In fact, I urge you to contact Eating Europe Tours. I am not a strong proponent of tours generally. I like to explore on my own. Yet, this food experience in Florence was so great I would like to do it again in another city—maybe Rome in Trastevere next time? Contact them to get the information. Take this tour. Go to www.eatingeuropetours.com. For Florence, contact Gaia@eatingitalyfoodtours.com. I am returning to Florence in early 2017. I will be visiting each of these places again. 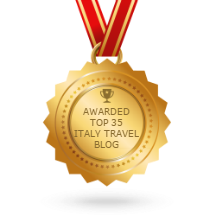 Grazie Mille Gail Ancilotti and the entire company of EatingItalyFoodTours! Ci vediamo presto! See you soon!